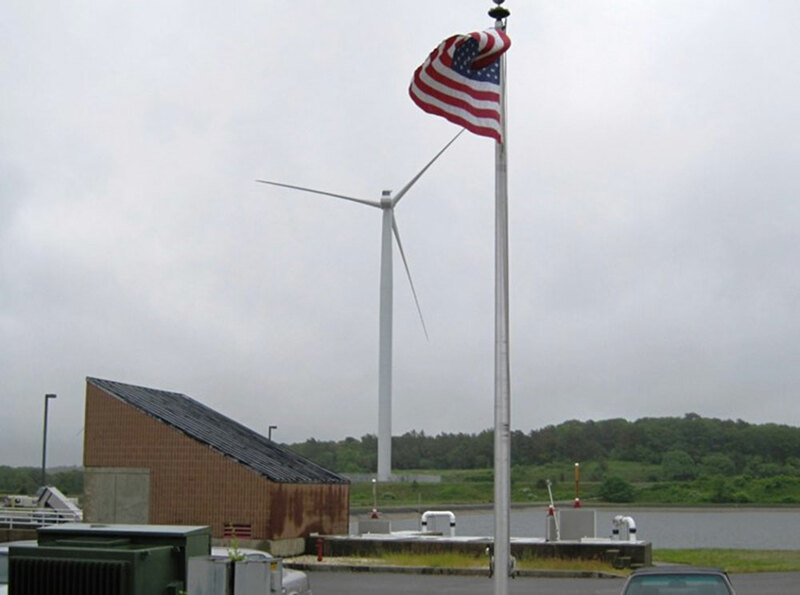 HMMH conducted a sound level study for existing and proposed 1.65MW turbines at the Falmouth Wastewater Treatment Facility. HMMH conducted short- and long-term measurements of existing noise levels in the residential areas nearest the existing and proposed turbine sites. The measurements were conducted both when the existing turbine is operating and when it was shut down for maintenance, to characterize the ambient background noise levels. The measurements were used to evaluate compliance with Massachusetts Department of Environmental Protection (DEP) noise guidelines. Using the SoundPLAN® noise model, HMMH computed the noise levels from both the existing and proposed wind turbine operations and evaluated them throughout the surrounding community with respect to the DEP guidelines. HMMH prepared a comprehensive sound study report on the measurements and modeling, and presented the results to the Town of Falmouth selectmen and members of the public.